Ardaman provided Special (Threshold) Inspection services for the Orlando Citrus Bowl’s $200 million stadium rehabilitation project. 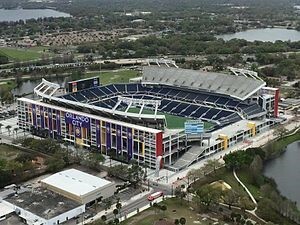 The stadium, constructed originally in 1936, has been rebuilt to accommodate 65,000 seats and is the home of the Buffalo Wild Wings Citrus Bowl, the Russell Athletic Bowl and the Florida Classic football game, among dozens of other major sporting and entertainment events. Ardaman’s engineers and inspectors provided the statutorily mandated inspections of this major sports venue which included complex pre-cast concrete units and two large, state-of-the-art structural steel towers. 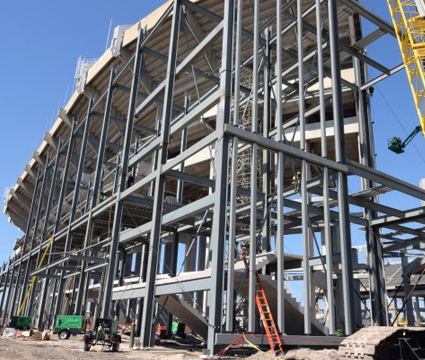 Further, the schedule for completion of this structure required construction to be completed within 9 months to accommodate the required bowl and football games, creating a critical inspection environment. Ardaman’s staff processed over 1,500 requests for information and was instrumental in helping the project finish on schedule..